Rear-ventilated hanged cladding system is one of the most dynamically advanced trends in civil engineering. Architect and developers use it in their designs more and more frequently. 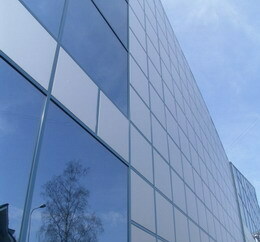 For civil engineering organizations the installation of ventilated facades is always beneficial. Installation works with regard to such façades can be performed at any time of the year. 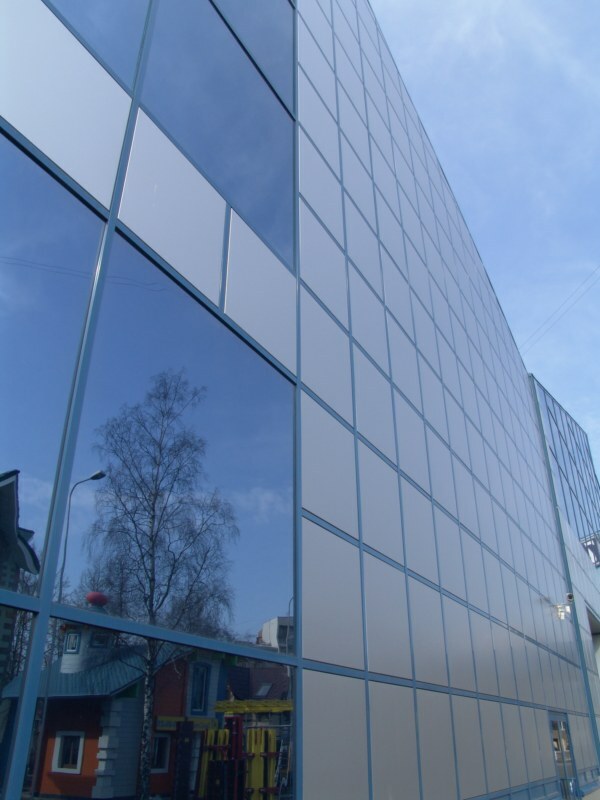 Ventilated cladding system is always a reasonable solution for a customer: an opportunity to develop a corporate style, operational resource saving, life cycle comparable to that of the building. The Alutech Group engineers have developed a high-tech general purpose system of profiles for hanged ventilated cladding system. In the course of development of ALT150 system the ALUTECH company engineers studied key problems occurring during erection of ventilated cladding systems and their long-term operation. The system has been developed taking into account current requirements to wall structure, and provides 100% realization of all the advantages of a ventilated facade.